85399 Hallbergmoos (D). RENAULT 82 00 052 967. MITSUBISHI MW 3061 8653. VOLVO 30618653. VOLVO 30611713. /// Numéro de comparaison. TRIPLE FIVE 9 623 001 03. 85399 Hallbergmoos (D). MITSUBISHI 1120A202. /// Numéro de comparaison. TRIPLE FIVE L-09024-0H45-06. 85399 Hallbergmoos (D). MITSUBISHI 1120A191. MITSUBISHI 1120A090. /// Numéro de comparaison. AISIN FDM-903. TRIPLE FIVE 9 024 459 05. 85399 Hallbergmoos (D). MITSUBISHI 1120A190. MITSUBISHI 1120A063. /// Numéro de comparaison. AISIN FDM-904. TRIPLE FIVE 9 024 459 06. 85399 Hallbergmoos (D). PEUGEOT 0532. MITSUBISHI MN982077. /// Numéro de comparaison. Single/Solid Mass Flywheel New (2000-2006). Mitsubishi Pajero/Shogun 3.2 DID (Model - 4M41/V68S/V78S) - (2000-2006). 85399 Hallbergmoos (D). MITSUBISHI 1120A130. /// Numéro de comparaison. KAISHIN FDM100-K. JAPKO 91501. 0303905 BI volant masse MITSUBISHI COLT < span class = notranslate ' > 1,5 DI-D CZ3 3P (2005/2009) pièces utilisées. MODÈLE: MITSUBISHI COLT (2005-2009). Si il est indiqué, ce qui fonctionne ici proviennent de catalogue officieux. Manufacturer part number: MD373136. Body: CT9A. Engine: 4G63T. Mitsubishi Lancer Evolution VII, VIII, IX. We cannot be held responsible for parts ordered for the wrong application. 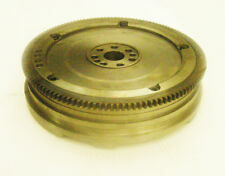 This single mass flywheel is made to replace the dual mass flywheels fitted by Mitsubishi. 1 X NEW SINGLE SOLID FLYWHEEL. This SOLID flywheel, therefore eliminates the weak link in transmission. 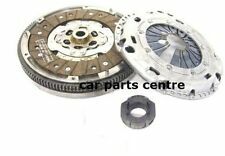 when the clutch wears out simply replace the clutch, No need to replace the flywheel again, hence huge saving! LUK Volant moteur PEUGEOT 4007 CITROEN C-CROSSER MITSUBISHI 415 0321 10. Véhicule de donateurs-MITSUBISHI L200 2007 2.5 TD. Moteur - 2.5 TD. Année - 2007. Schwungrad, Schwungscheibe, ZMS. Inhalt 1x Schwungrad, Schwungscheibe, ZMS. Motorausstattung für Motoren mit Zweimassenschwungrad. LuK 415 0643 10. MITSUBISHI PAJERO III (V7_W, V6_W) 3.2 Di-D. MITSUBISHI PAJERO III Geländewagen offen (V6_W, V7_W) 3.2 D 4WD (V78W, V68W). MITSUBISHI PAJERO III Canvas Top (V6_W, V7_W) 3.2 DI-D (V68W, V78W) 3200 2000.04 - 2006.12. MITSUBISHI PAJERO III Canvas Top (V6_W, V7_W) 3.2 DI-D (V68W, V78W) 3200 2001.10 - 2006.12. MITSUBISHI PAJERO IV (V8_W, V9_W) 3.2 DI-D (V88W, V98W) 3200 2007.02 -. 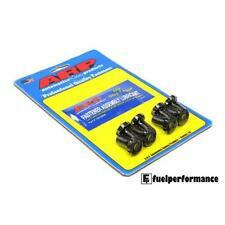 ARP Flywheel Bolt Kit Mitsubishi 4G63 2.0L Evo 4-9. ARP is the world leader in fastener technology. Orders cannot be collected. What are we known for?. It is your responsibility to make sure you are purchasing the correct item. 1 x BRAND NEW SINGLE MASS FLYWHEEL 1 x BRAND NEW 3pc OEM CLUTCH KIT CLUTCH DISC | CLUTCH COVER | RELEASE BEARING Fits: MITSUBISH L200 KB4 CHASSIS 2.5 DID 4D56T 4X4 2006 - 11/2009. Garantie de 3 ans * exprimer affranchissement £2,99 ! Engine Code - 4M41. For Mitsubishi Shogun/Pajero 3.2DID (Year 2000-2011). Straight Conversion from Dual Mass to Solid Mass . RUPTURE: Pajero L200 Shogun Shogun Shogun Sport Delica Pinin. 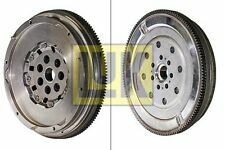 KIT DE CONVERSION DE VOLANT VOLANT ET EMBRAYAGE POUR MITSUBISHI SHOGUN 3.2 DID MK3 2000-06. Kit or Single Part Kit. pour assurer la partie dont vous avez besoin est compatible. New genuine original equipment replacement for MITSUBISHI MONTERO 3.2 FLYWHEEL Plate A/T 3.5L V6LS MB919250 1996> Genuine *LC8* Genuine ex dealer stock in perfect condition.Not a cheap copy.Very hard to find as a new item. This flywheel will fit all models from Evo 7 to 9 that have the 5 or 6 speed manual gearbox. It will also fit the Evo 4 to 6 models if you upgrade to the later Evo 7 to 9 clutch kit. 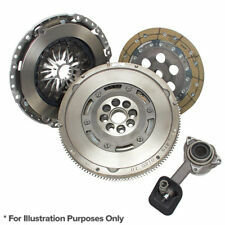 This flywheel is also compatible with any OEM spec clutch kit.